We are an outdoor, off-road event & trail construction company. 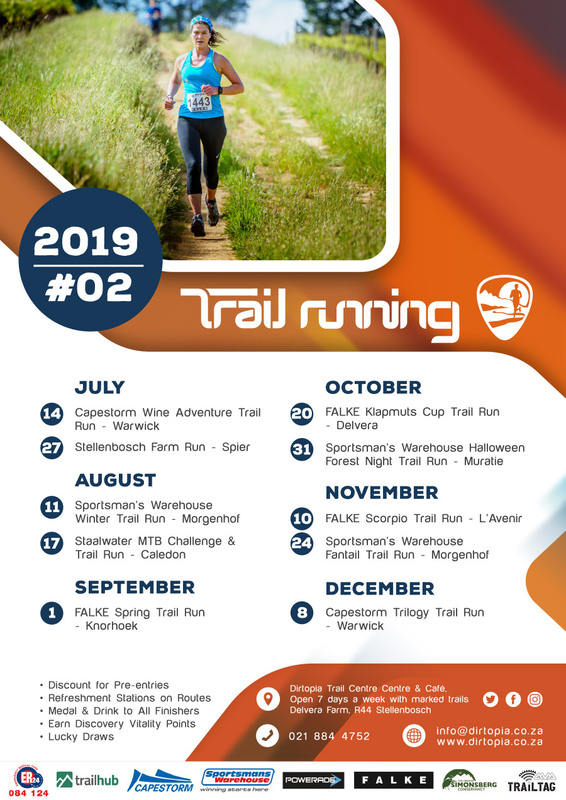 Our HQ is based at Dirtopia Trail Centre on Delvera farm 10km from Stellenbosch where we sell permits for the marked trails. There is a bike shop as well that offers bike sales & bike servicing. 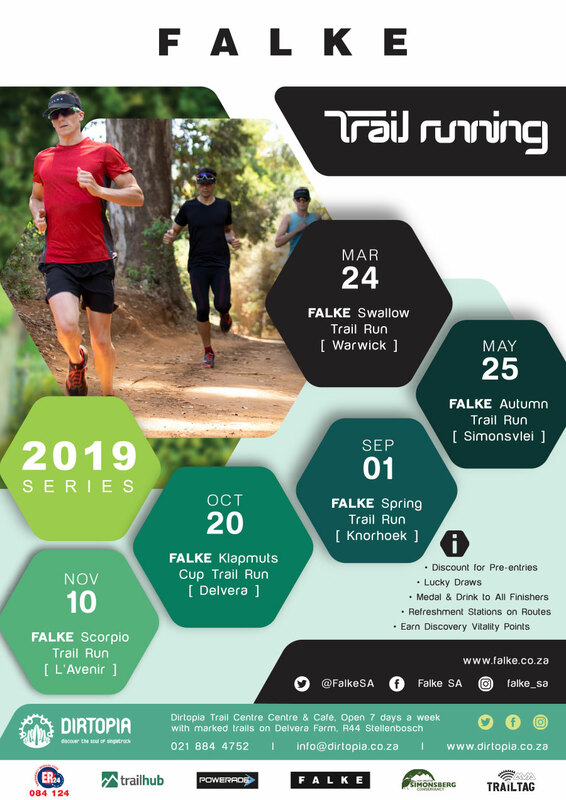 Dirtopia’s main focus is mountain bike events, though we also organise fun trail run & hike events. 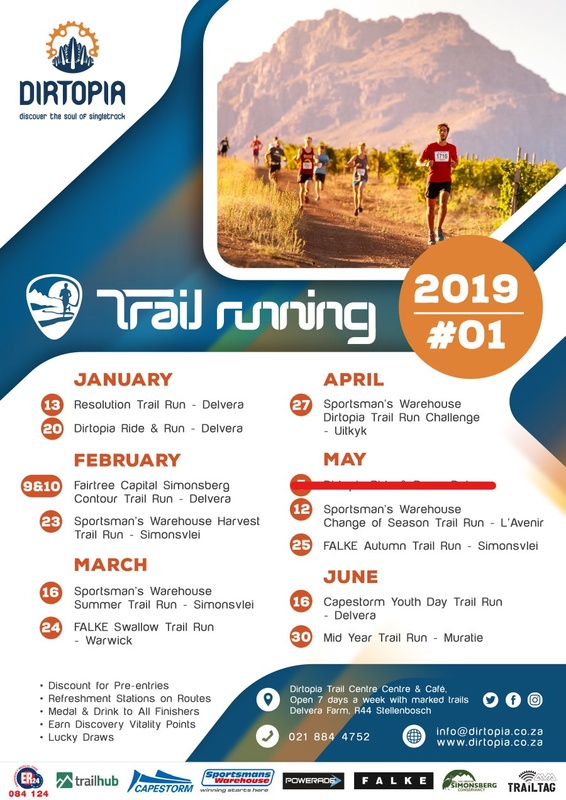 Please browse our website (www.dirtopia.co.za) to find out more about our outdoor events, trails, bike hire and services. 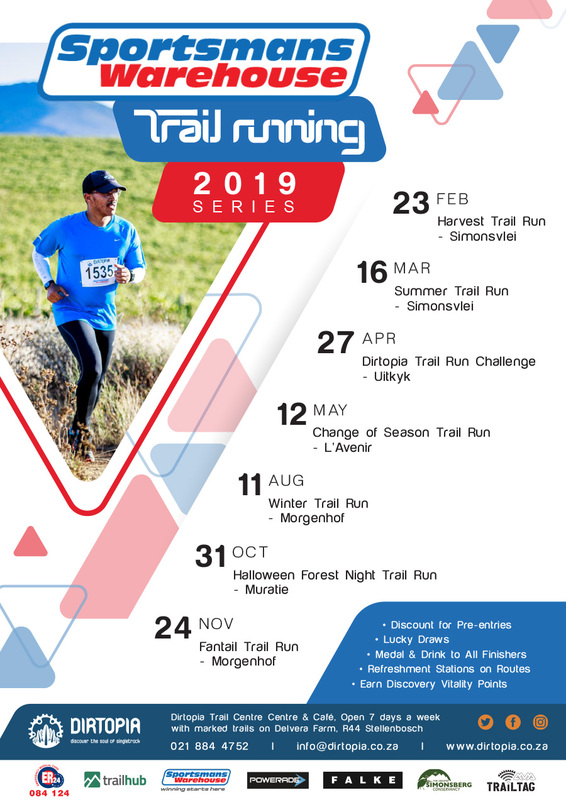 We also do event & trail consultations and have a close relationship with Amarider and Trail Tag.